Ways & Means would like to brighten up our 2019 Roster with some pictures of our members! We are looking for some awesome pictures of your balloon, others balloons, your crew, or tailgate fun! 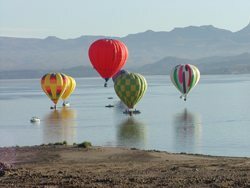 Please email your pictures to ways-means@hotairballooning.org. Deadline to submit photos is Feb 6th, 2019. All pictures going into the Roster will be chosen at random.